Selling online is many people’s dream. Not only do you get to work from home, but you get to run it all from your computer. No work schedules to hamper you, no bosses to make your life miserable, and better yet, no annoying customers to deal with in person. But how to go about setting yourself up as an online seller? There are quite a few options for the entrepreneurial at heart, but not all of them will be suited to your unique needs. Here are a few to consider. What discussion of selling online wouldn’t be complete without eBay? The store and listing templates, online payment options, and other factors make it ridiculously easy to get started selling on eBay. Designing your own eBay shop can be as simple as choosing a template and writing some content, or as involved as hiring a writer and heavily promoting your store elsewhere on the Web. Amazon offers a third-party marketplace that is similar in some respects to eBay, but yet has its differences. Not only does Amazon only offer fixed prices, they also don’t give as much attention to store setup for individual sellers. However, you can also choose to sell via their affiliate program on your own site, earning a commission for every referral that ends in a sale — and saving yourself the trouble of having to store or ship any merchandise. 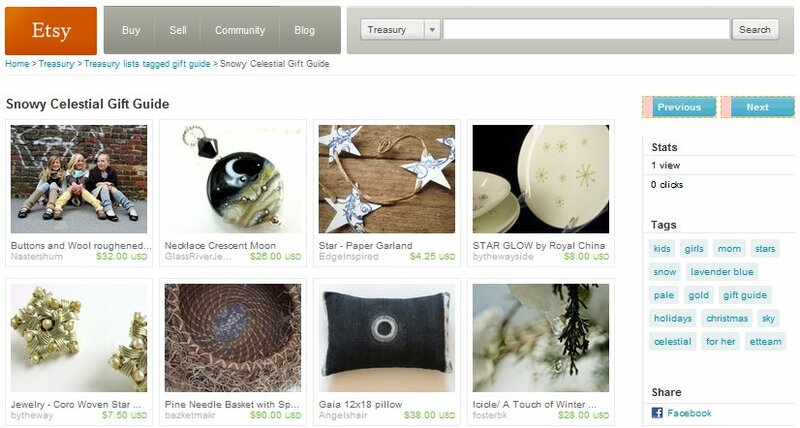 If you are planning to sell handmade goods, consider a more specialized marketplace such as Etsy. This website attempts to bring the feel of buying from local artisans to the World Wide Web. Buyers go to the site with the intention of buying handmade goods, so your listings reach a better-targeted market. Etsy also allows you to set up a simple store with a short “about” section. There are a host of ecommerce websites online that cater to third-party sellers, many with some sort of specialization. For instance, just like Etsy specializes in handmade goods, Ruby Lane specializes in the sale of vintage and collectible items. There are also sites such as Café Press, which allows you to sell stationary, apparel, and other items that have been personalized with a photograph or image you designed, earning a commission of your choosing on each one. And of course, there are Yahoo stores. No matter what your niche, chances are there is a site that will cater to your needs! If none of these options appeal to you, or if none fit your unique needs, you also have the option of starting your own ecommerce website. Having your store on your own site means that you don’t have to pay high fees or commissions to the website where you host your store, but it also means that you will have to do a lot of work yourself to design, maintain, and promote your online store as well as learning how to use analytics correctly to monitor your conversions and more. Still, many sellers prefer the independence associated with this option. Selling online is a very rewarding experience, especially once your online shop takes off enough to provide a supplementary or even a primary income. There are a lot of options for would-be online sellers, many of which cater to the full range of types of stores, from selling on the side to full-time entrepreneurs. Carefully research the options available to you, keeping in mind your intentions and your target market, before making a choice of where to set up shop. Established sellers: Where do you sell online? Do you sell from your own website, either exclusively or in addition to a store on eBay or another ecommerce site? This guest post is by Vern, a writer on a variety of topics including selling products online. He also writes about ebay shop design, and how to effectively manage your online storefront. Ebay is still the big dog in town. With a lot of long term sellers it is a love hate relationship. Amazon is quickly becoming the alternative. Thanks for sharing. I’d recommend starting a small eBay store and building up from there. eBay is very helpful in getting you your sea legs when it comes to selling online. Once you master eBay, move on to your own site! It certainly is easier than ever to start up your own shop – there’s no longer the overheads of rent and staffing – but it’s not as easy as many people think. As a fulfilment company we get a lot of enquiries from start ups. Many have ideas that they will be selling 1000 orders/mth within the first year, but no real marketing plans. It’s rarely enough these days to just be on the web – good promotion is very much part of success still. One thing you left out was how important it is to set up some sort of credit card processing on your site so that you don’t have to rely on something like PayPal, which has been know to be stubborn when there are complications. Being able to accept credit and debit card transactions on your own are the signatures of a successful online business, so if you don’t have it yet, fake it until you make it! This is a great resource for all online money makers. All of them sound great but I just hope that everyone who is using them, like myself, knows that their money is being moved around safely. I have to admit that I am a Joomla Lover. This CMS System let me create easy to handle online stores and I can track everything. Everything is easy as long a you know how to do it of course. If I have to sell online, I will definitely own my own online store and then I will use ebay and amazon to expand my business. With open source software and plenty of help on forums its much simpler now than ever to set-up your own e-commerce site although initially the other methods combined will help sales. In the long run I think you do need your own presence online and setting up from word go is the best way to do it. Just started my new online business: selling antique clocks. Will keep you informed on the progress. Affiliate programs are really good platform to online selling and earn money. I don’t try till but now i m interesting about it. I will try it. I’ve had the most success creating a niche product and selling it through my own site and controlling all distribution. No one but PayPal (my credit card processor) gets a cut of it, and no middle man like eBay is used. If you can create your own product, that’s really the only way to go! Personally i would always prefer creating my own online-store. Best software for me is Typo3 with commerce or maybe Magento. Wow! What a great idea…..But I think if you have more friends in internet, your products might spread that fast. And I believe by also putting different unique marketing strategies might help you build your business successful. I am relatively new to this subject of selling online, but I’m glad I’m learning new things each time. Thanks for sharing this post! I’ve learned a few good pointers also on the comments here. I think Amazon is not a good choice for my grandfather clocks site. They refuse to pay commission for sales through third party sites. And most of their floor clocks are sold by third parties and not by Amazon itself! Until recent years, Yahoo stores were lot popular. They helped building stores as well as did merchant account and payment processing jobs very effectively. Don’t know why there is no much buzz about them these days. I think it is because independent solutions easily available like hosted shopping carts, cheaper credit card processing companies etc.. A way better option. Selling online is great but cost do matters to get handful of services from providers. Ebay do works well which in comparison to others is far better. One question is – don’t you think it can work well on own domain as well? 1.) SSL, which encrypts your customers’ credit card information. If you purchase your domain name from NameCheap, you get this for free. 3.) a merchant account, which turns the credit card info into money you can put into your bank account. These services vary in cost, but are usually around $25 a month plus transaction fees. Be sure you know all the fees upfront before you set this up. I’ve used ALL options listed above and nothing beats opening your own store. For the price of web hosting ($16), free e-commerce softare (zencart), ssl ($16/yr), I was able to open my own store and 100% of profits went to me! If you are going to do all the work involved of taking pictures, posting, shipping, etc., might as well have your own store. The only thing I would do differently next time is use WordPress as my software, since it’s simpler to use. All great options though and they all have their rightful play in the world of ecommerce. Opening up your own online store with a unique root level domain name is a very difficult proposition unless you have a well thought out plan to drive traffic to the store. Pay per click advertising is the easiest way to obtain traffic, but the cost per click and per sale will cut deeply into profit margins. A potent marketing plan is almost as important as decisions about the products to be sold. Beware of scammers that claim becoming an online merchant is an easy route to riches. I am interested to know in detail how can I be seller of these e-commerce sites. Yes there are many options for people looking to sell online. Personally I prefer selling products as an affiliate, as you briefly mentioned with the Amazon program. That way you can avoid a lot of expenses and customer service hassles. Thanks for discussing the Amazon option — that’s something I’ve been looking into now that PayPal seems pretty unattractive. I was a bit worried about keeping Amazon in there after their latest controversy, but now that is over, yes, they’re a good bet and easy to use. I tend to think that it’s worth people dipping their toe into e-commerce by initially having a static brochure site, with a shop link to ebay (or one of the other free ones you mention). Monitor the clicks, and if enough people are interested in the shop, then it’s probably worth moving away from the shared shops (where people are more likely to browse away for cheaper offers from other people), into their own more professional-looking on-line one. Selling online can be done in a lot of ways and you can do all these one thing at a time. Try the first one and if it does not work out for you then try the other. Eventually you’ll find something that really suits what you want or need. Selling online can be quite a challenge but it is rewarding. Very true… it’s all about trial and error to find the solution that is the best for you. Yeah, I think one thing about jumping on board with Amazon is it is one of the sites that comes up in tons of searches thanks to the brand dominance it has in Google. So definitely one to consider. I work for an online retailer and we use a variety stores to help maximize our potential. We of course have our own online store(at our domain), but we also use Ebay to sell and get rid of old merchandise that we need to get away from. But like Ivan mentions, you definitely have to experiment and mix and match to find the online store that is right for you. Not every store, is perfect for what you need. My company tried Amazon and found it did not meet our expectations and what we needed from, as an online realtor. Everything is different per case and it’s best to experiment yourself before you find exactly what you want. I personally use eBay every time I have to get rid of second-hand stuff, especially computers and electronic devices in general. Finding a place of choice to sell online, something you can trust blindly, isn’t an easy feat, and I feel like eBay isn’t much user-friendly in this regard as it’s honestly full of people not serious enough to make businesses online. It’s very common to have the winner of the auction mail you some excuse not to buy the item, or just disappear without finalizing the purchase. However, from a business standpoint, it’s also a good chance if you’re willing to provide a new service for sellers/buyers, that’s why my company a couple years ago launched a 3D virtual shopping mall using the Unity3D framework. Overall, ecommerce is still a growing phenomenon, one that, however, is often much different than people imagine, concentrating the big bucks in the hands of a small number of protagonists and leaving not much to the small-business competition. I’m used to eBay for the most part, so I’ve gotten used to the user friendly issues, especially while designing the sales page. But it does get the job done, and with their partnership with Paypal makes it less likely you’ll get ripped off somehow, which is why I stick with them. There are a few other options. While not stores in the ‘classical’ sense 🙂 you can add your goods to ejunkie, payloadz and Paypal marketplaces. This lets you test the waters and see if there is a demand before you buy your own domain etc. This is true… eJunkie is a great one, especially if you want to get some affiliates for your products!